In the book of 2 Kings 7 were four leprous men. These men were condemned and castigated by the society for their sickness. Even the Mosaic Law stipulated that such people had to be alienated or segregated without any fear of hurt feeling of guilt conscience. Such was the society of the day. Whilst today things seem to have changed with the rise of many human rights organisations I can still argue that we still stand at the same point as we stood right in the Old Testament. Today people with disabilities, those living with H.I.V, cancers, rare conditions, epilepsy, those with limited melanin are treated as half-human beings, just as lepers were, in Bible times. Not only these but even other people groups are seen as better than others..."all are equal, only that some are more equal than others ... Animal Farm." My good friends if you travel you will realise that the moment you mention that you are a MuZimba people see you in a different way. Media has not done us good in shaping a good image of us. Savages, suffering slaves, sick-lings, dying cowards is what the world sees. Well it once was like that in the book of Kings till God proved a point: with God, the lame will take the spoil. The lepers in the story ultimately rose to the occassion and defeated the enemy, taking over victory for the whole nation. 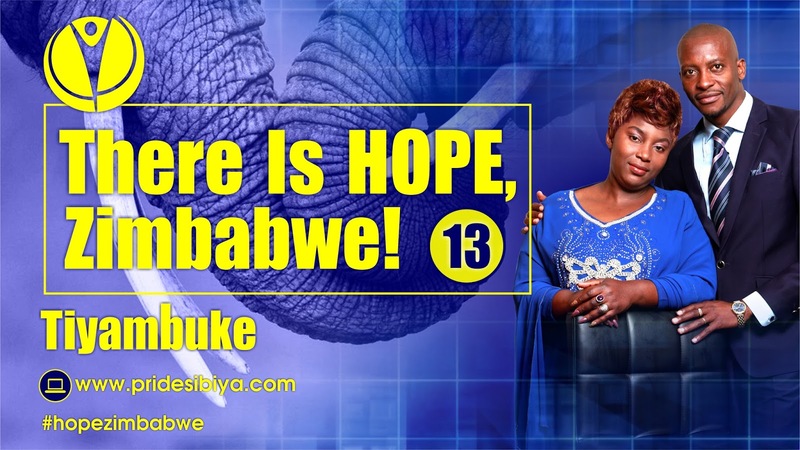 I prophesy to our leaders, and the people of the nation, hope, hope, hope. Do not give up. These dry bones will live again and the lame shall take the spoil! Tinotopayambuka chete!